"I love you so much Grandma! You were the light in so many peoples lives. I will miss you and can't wait to see you again someday! " 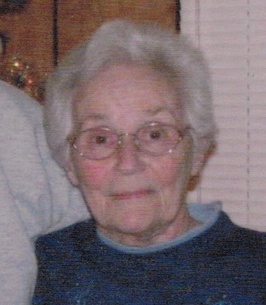 SPRATLING – Lois J. Spratling, age 88, of Sparta, entered into eternal rest with her family at her side on Monday, November 5, 2018. Lois is survived by her children, Steve (Sandy) Spratling, Cindy Spratling, Peggy (Dave) Myers, Kristi (Steve) Wittenbach, Lori (Pat) Garvin, Beth (Rob) Leete, and Nancy (Craig) Swatt; sister, Joan Hodges; brother-in-law, Charles (Joyce) Spratling; sisters-in-law, Susan Piette and Barbara Pennington; eighteen grandchildren, nineteen great-grandchildren, her very special friend, Helen Reister; and many loving nieces and nephews. She was preceded in death by her loving husband of 60 years, Robert; brother and sister-in-law, Kenneth and Velma Lovelady and brothers-in-law, John Hodges, Ronald Spratling, Donald Spratling, Ralph Pennington and Charles Piette. Lois was born in Nebraska and remained a Cornhusker at heart. She was a long time parishioner of Holy Family Catholic Church in Sparta, Michigan. Her active life included playing games with her beloved kids and grandkids, reading, bowling and golfing. The family will receive family and friends at the Beuschel Funeral Home, 5018 Alpine Avenue, Comstock Park on Friday, November 9, 2018 from 2:00 to 4:00 p.m., and 6:00 to 8:00 p.m., with a Vigil Service at 7:30 p.m. The Mass of Christian Burial will be offered on Saturday, November 10, 2018 at 11:00 a.m., with visitation one half hour prior at Holy Family Catholic Church, 425 South State Street, Sparta, with celebrant Rev. Father Rock Badgerow officiating. Private interment will be in Resurrection Cemetery. In memory of Lois, please consider making a memorial contribution to Home Repair Services or Faith Hospice. 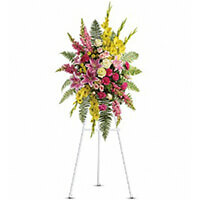 To send flowers to the family of Lois Joyce Spratling (Lovelady), please visit our Heartfelt Sympathies Store. My condolences on the passing of your mother. May you be comforted by memories of her . God bless and Rest In Peace. Eternal rest grant unto her, O Lord and let the perpetual light shine upon her. May her soul and the souls of all the faithful departed, through the mercy of God, rest in peace. You are in the thoughts and prayers of the parish staff and community at St. Francis de Sales Church, Norton Shores. Dear Family, We offer our Heartfelt sympathies to you all for the loss of such a wonderful LADY, Your Mother, We had just gave her Larges Hugs at Molly's Wedding. As we had not seen her in such a long time, We had a very large amount of Love for her, And appreciate what she and Bob had done for Dee during her lifetime, She will be MISSED, SAD ! I love you so much Grandma! You were the light in so many peoples lives. I will miss you and can't wait to see you again someday!